StarWars.com grabs a controller and goes inside the new game. With any sequel comes immense pressure. The need to make it as good, if not better, than what came before. The need to make it bigger, either visually, emotionally, or both. The need to have it build upon its predecessor but also stand strongly on its own. When you’re making a video game sequel and it’s called Star Wars Battlefront II, you definitely feel that pressure. This is the story of how Lucasfilm, EA, DICE, Criterion, and Motive rose to the challenge. The original current-gen Star Wars Battlefront, a multiplayer action shooter, launched in November of 2015, coinciding with the release of Star Wars: The Force Awakens soon after. 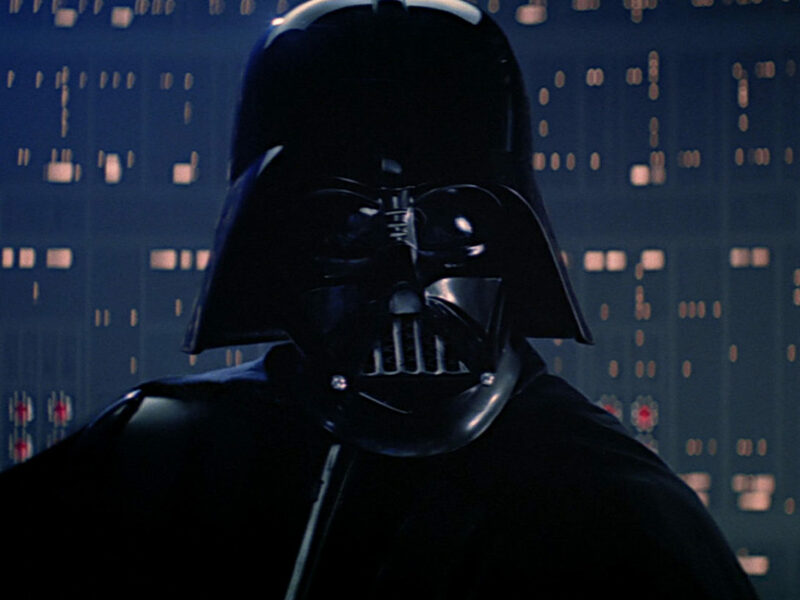 The game received strong reviews and went on to sell millions, marking, along with its film cousin, the start of a new era of productivity for a galaxy far, far away. Thanks to the power of modern consoles like PlayStation 4 and Xbox One, Battlefront featured the most fully-realized take on Star Wars ever seen in a video game. Character models and ships were detailed in ways not previously possible, from scuffs on stormtrooper armor and scratched paint on snowspeeders to the cleft in Mark Hamill’s chin. There were ground battles and aerial combat exercises on planets from the original trilogy, The Force Awakens, and even on Sullust — a world only previously mentioned in The Empire Strikes Back and finally brought to life for the game. (Running side-by-side with an AT-AT on Hoth as it kicks up snow, just one of many great Battlefront moments, was something of a dream come true.) 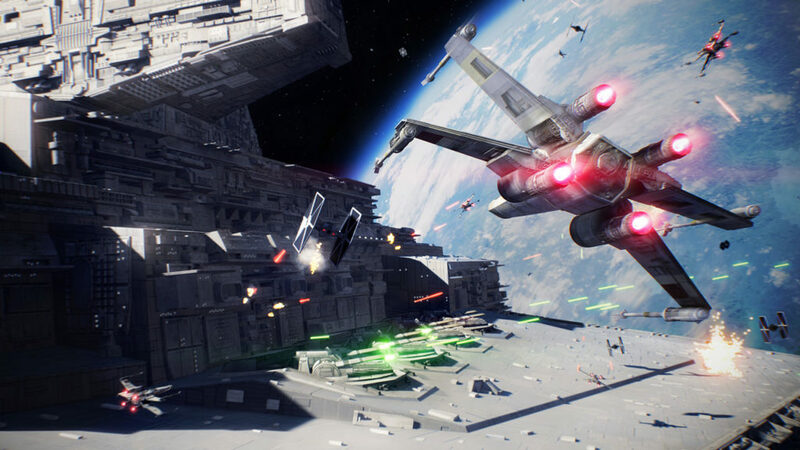 For the developers, however, there was still a feeling of missed opportunities and more work to do — which would ultimately shape Battlefront II. But first, they were determined to address the bantha in the room. Players were very vocal about a specific feature they wanted in a sequel: a single-player experience. 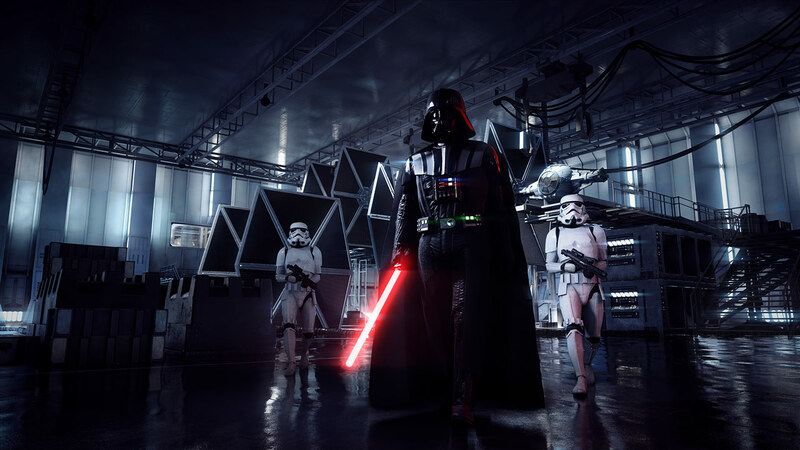 Battlefront 2015 focused on multiplayer, so developing a single-player game from scratch would be a substantial undertaking. The question was, who would it star? What would the actual story be? From there, our Imperial protagonists — you read that right — were born. The game would star an elite Imperial squad, active on Endor during the destruction of the second Death Star. Their leader, and now the character in our hands: a gifted female soldier who was born and raised in the age of the Empire, and a true believer in the Emperor’s stewardship. 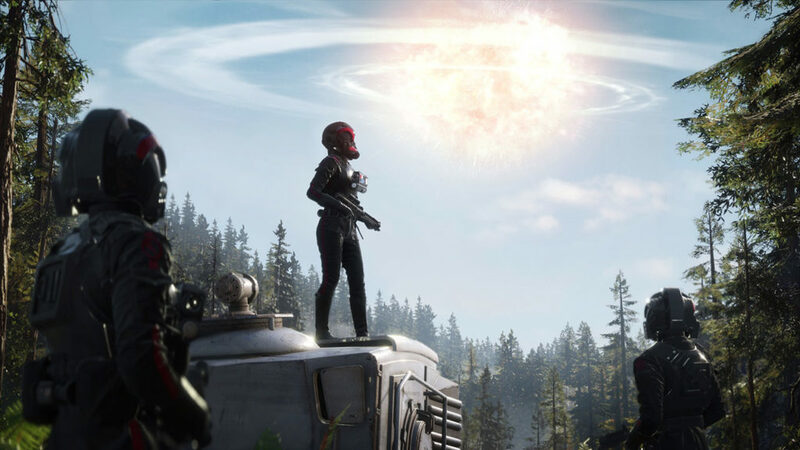 On the Lucasfilm side, the company made sure that Iden Versio and her squad, including new characters Gideon Hask and Del Meeko, fit within the larger Star Wars narrative. Steve Blank and the Story Group were involved throughout production, even attending shoots. 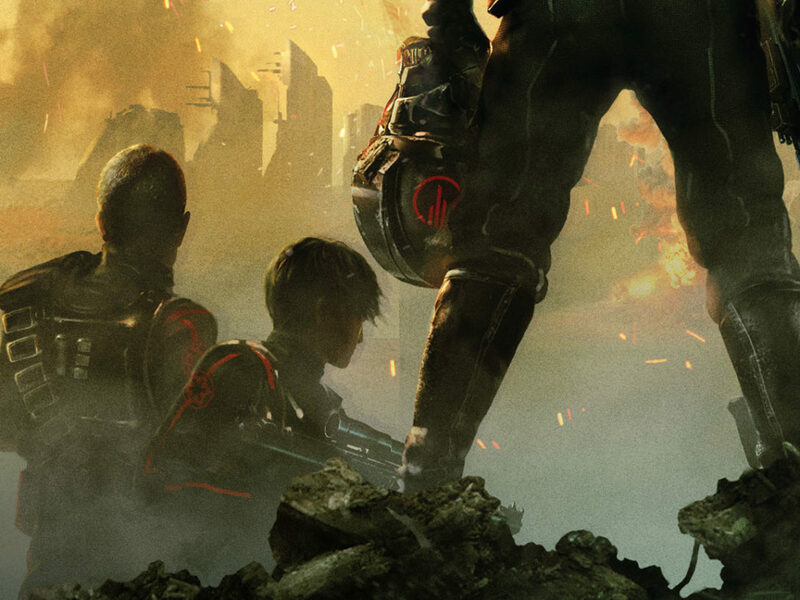 Legendary ILM designer Doug Chiang advised on Inferno Squad’s armor, and Star Wars Rebels executive producer Dave Filoni met with the games team to discuss why the Empire might be using a special forces unit, and how he’d approach using them in story. “It was a total collaborative effort,” Kellogg says. 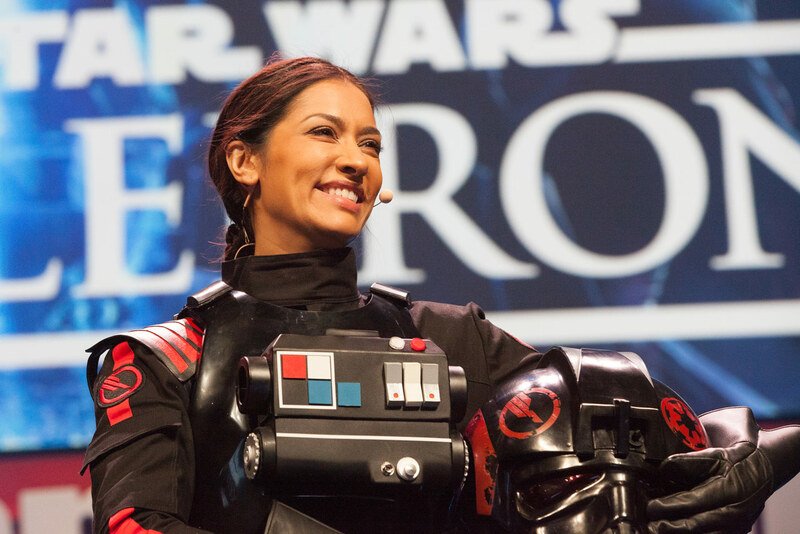 Bringing Iden Versio to life is actor Janina Gavankar, known for her appearances in True Blood and Arrow. Gavankar both voiced the character and performed the role in a motion-capture suit, embracing the chance to play someone on the other team in the Galactic Civil War. “Zero judgment,” Gavankar says of how she views Iden. “Everybody is the hero of their own story. “And, you know, I don’t see anything wrong with peace and order,” she adds playfully. Acting in a video game is incredibly demanding. Gavankar had to define the way Iden would speak, her mannerisms, her expressions. How she would walk, how she would run, how she would hold a blaster. All of this would be represented in-game based on her physical performance. She had to work out “harder than ever,” both to look the part and to handle all the gear that the actors had to wear during takes — which Gavankar used to her advantage. Gavankar and her fellow Inferno Squad actors also worked with military consultants, advising them on everything from weapons handling to how to react and keep moving after being wounded. StarWars.com had the chance to play through the single-player campaign and found it to be a thrilling Star Wars experience, both in story and gameplay. It’s quickly apparent that creating an Imperial protagonist at this point in the timeline is something of a stroke of brilliance; the Imperials are underdogs after the second Death Star is destroyed, so however you feel about Iden’s loyalties, you are just fighting for your life. (Navigating Endor, with burning AT-ATs and crashed TIEs all around you, is really kind of shocking — like much of the game, it shows what came next after Return of the Jedi, yet in a completely unexpected and exhilarating way.) But it’s also important to note that Iden is no caricature of evil. Minor spoiler warning: She’s a believer in the Empire, yes, but only to a point. Iden’s story has an emotional arc, and it’s wonderful to see and play an active part in. Battlefront II will take you to worlds new and old, reveal bits of Star Wars lore you didn’t expect, surprise you, and challenge you, and we have this new special forces operative to thank. The Force works in mysterious ways. Welcome to Star Wars, Iden Versio. While the single-player campaign is a significant part of the Battlefront II story, further developing and improving the scope, feel, and multiplayer component of the game was just as crucial. 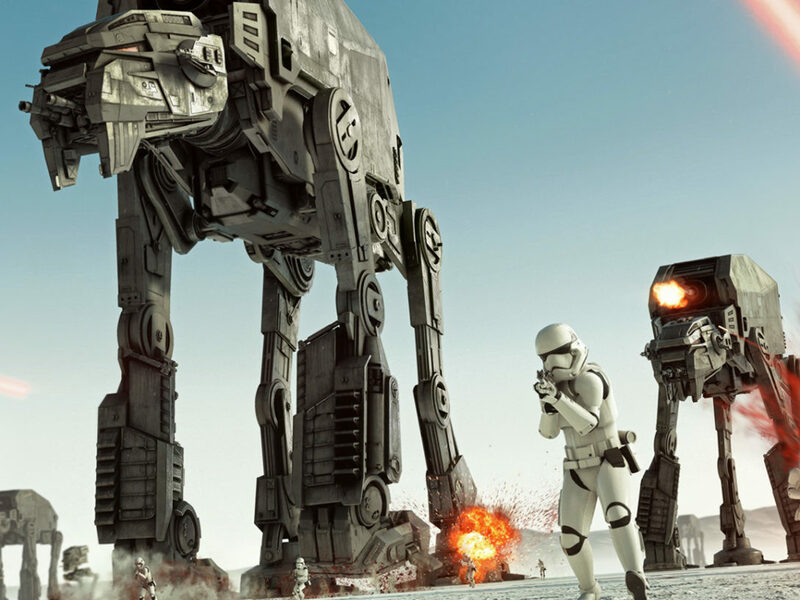 In many ways, 2015’s Star Wars Battlefront was a big let’s-see-what-we-can-do experiment. It was the first next-gen Star Wars game, and showed just what would be possible with the cutting-edge tools and technology of its time. 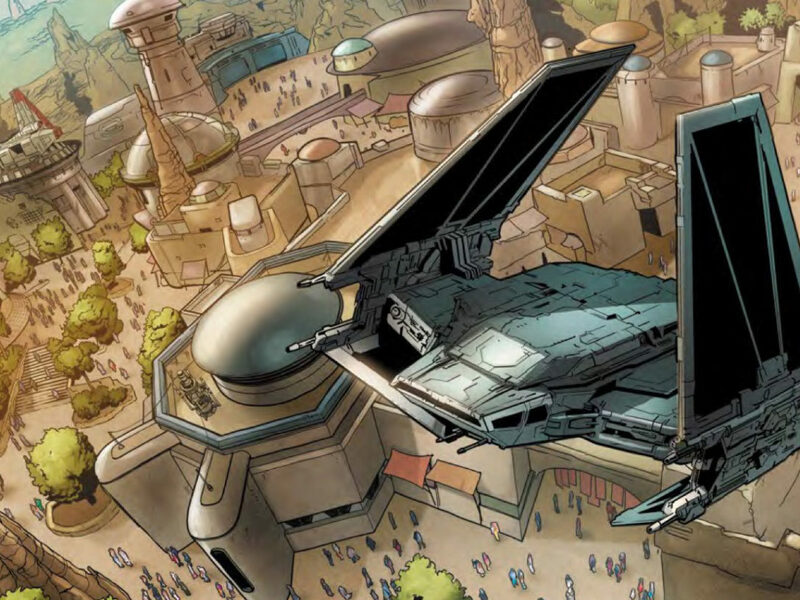 It also showed how direct access to Lucasfilm could benefit modern Star Wars video games. That partnership continued with Battlefront II, when brainstorming began immediately following the release of the first game. 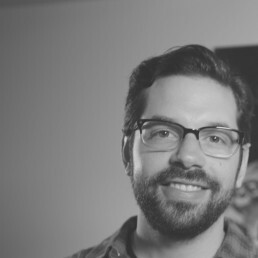 “The great thing about being a part of the Lucasfilm games team is that we’re here, on-site, and we get exposed to all of these things,” says Kellogg. “Just being in the hallways, getting to go speak with the Story Group all the time, getting to work with Doug Chiang or any of the other creatives here. 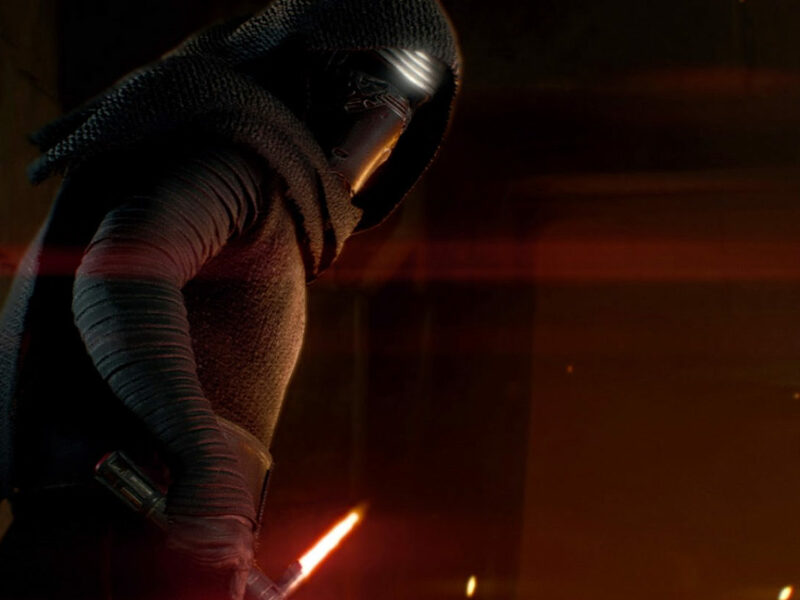 And we get to share that access with our developers.” That collaboration is realized in weapons, armor, vehicles, and really, anything new and cool that gets absorbed into the game — and especially in content pulled from Star Wars: The Last Jedi. In December, Battlefront II will add the planet Crait — the salt-covered world seen in The Last Jedi trailer as the setting for a major Resistance/First Order clash — as part of all-new, post-launch content coming in the game’s The Last Jedi “Season.” And it’s included largely thanks to early access to the film’s assets and its writer-director and producer. 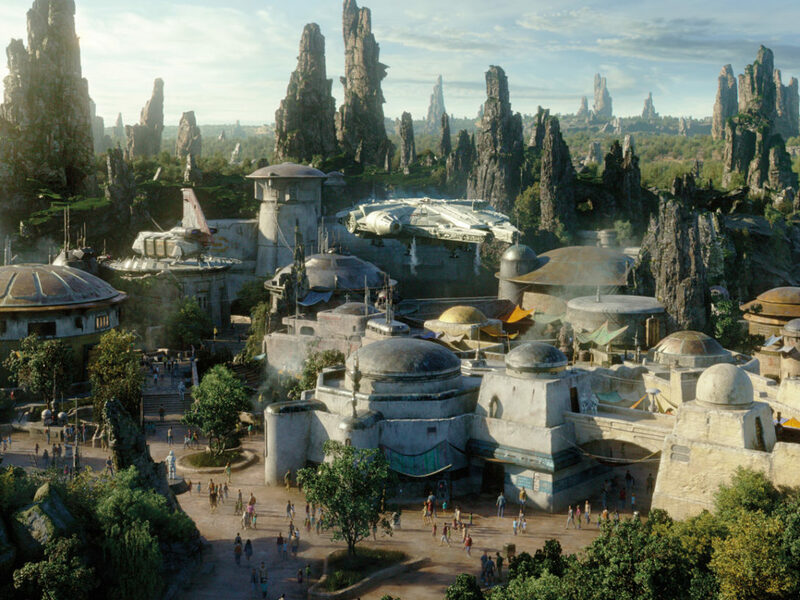 It’s one example of a major mission for Battlefront II: developers were eager to incorporate more Star Wars locales from across the saga. 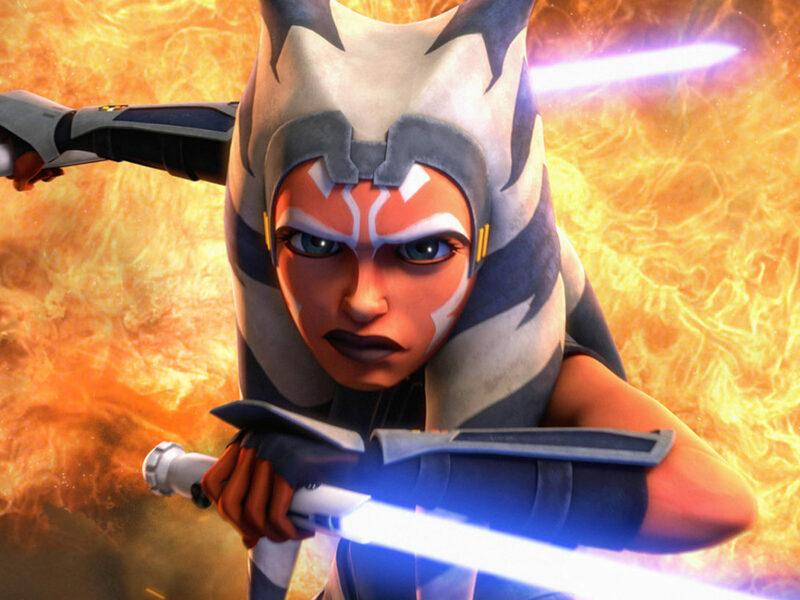 The prequels are now represented in beautiful renderings. 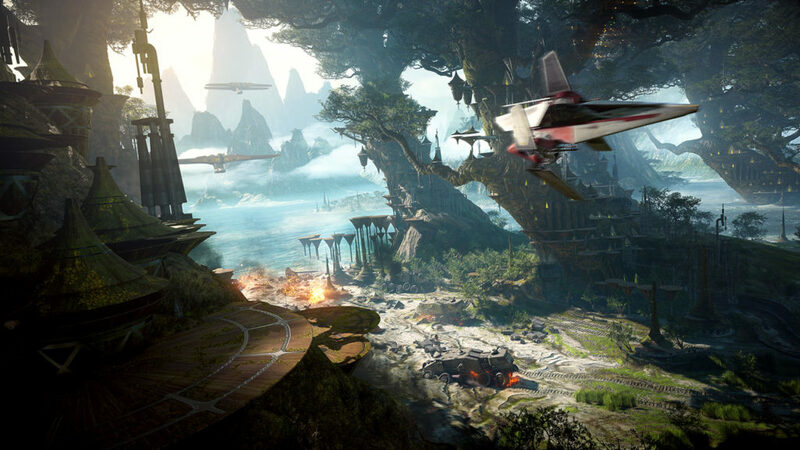 New maps include Naboo, with its stunningly recreated 18th-century-Italian-inspired architecture, the rain-drenched planet of Kamino with its alien half-dome buildings, and, yes, Kashyyyk, a.k.a. the jungle world of the Wookiees. To further engross players and transport them into these new worlds and the Star Wars universe as a whole, a new multiplayer mode (among Battlefront II‘s many others) was created: Galactic Assault. In Galactic Assault, there’s always a reason for the battle at hand, always a backstory. 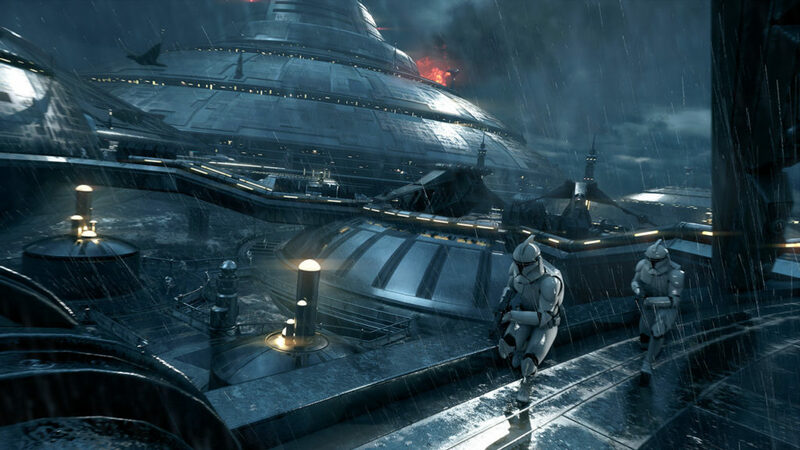 On Kamino, the droid army is looking to shut down the cloning facility and end the war. Depending on which side you’re on, those are some high stakes. Kellogg points to that map as a favorite. Other special modifications are more subtle, but make a big impact. 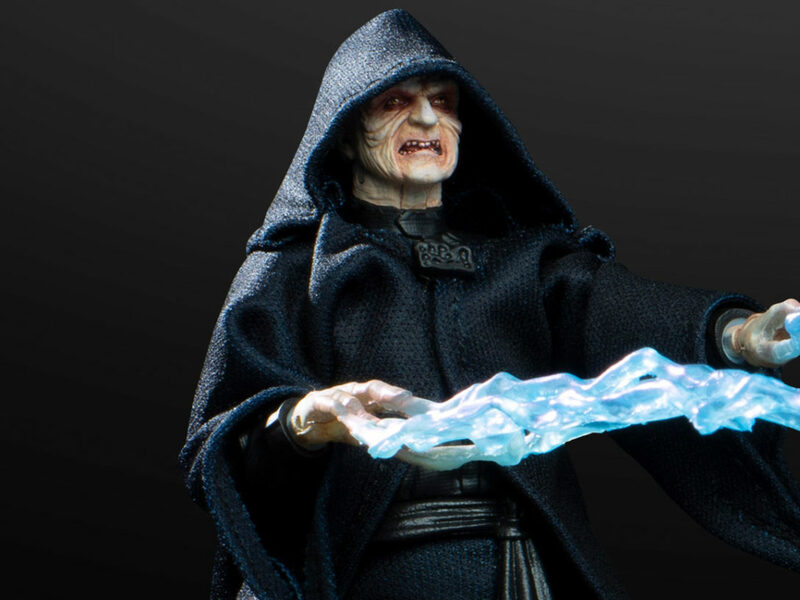 Even the way Jedi and Sith react to being Force pushed has been further perfected, especially important as Battlefront II ups the number of Force-wielders at play. Oddly, we can’t wait to be on the receiving end of that Force attack. The road to the release of Battlefront II was a long one. There were late nights and many weekends spent in offices around the world. Hard decisions to be made. 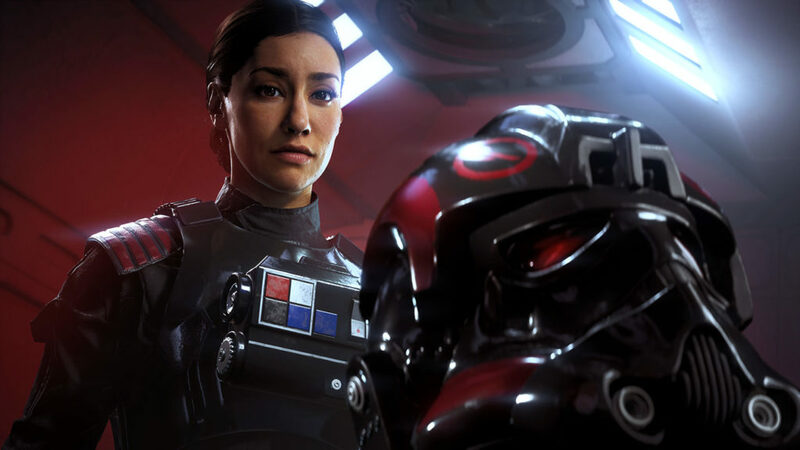 But there were bright spots, too, for both fans and the game makers, that marked Battlefront II’s progress: Janina Gavankar’s captivating turn as press conference host at EA PLAY, which saw the debut of the game’s first trailer; the beta, giving fans their first steps into Battlefront II’s larger world; and the release of the final launch trailer this month, featuring the most complete look at the game yet (including rebels riding tauntauns mid-battle, which should have everyone very excited). And now, the Battlefront II journey is complete. 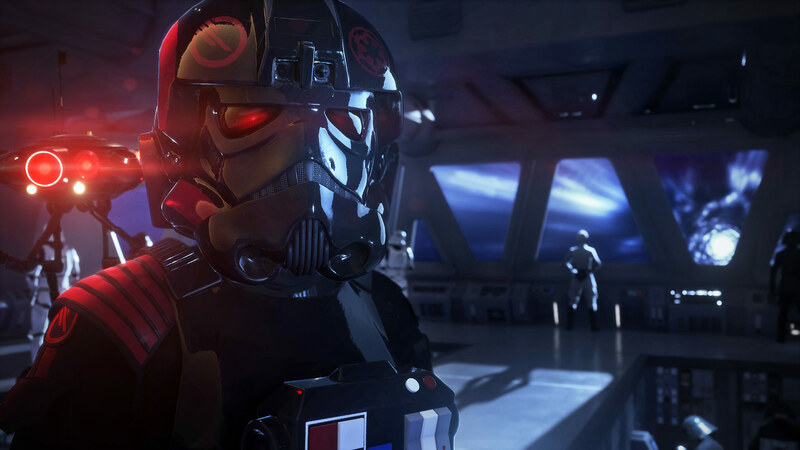 Star Wars Battlefront II is available now.